Home English House Passes Bill to Advance Quantum Science in the U.S. The House bill, by congressman Lamar Smith (R-Texas), serves to “ensure the continued leadership of the United States” in this technology—as we’ve said before, some have framed quantum science as a space race part two. 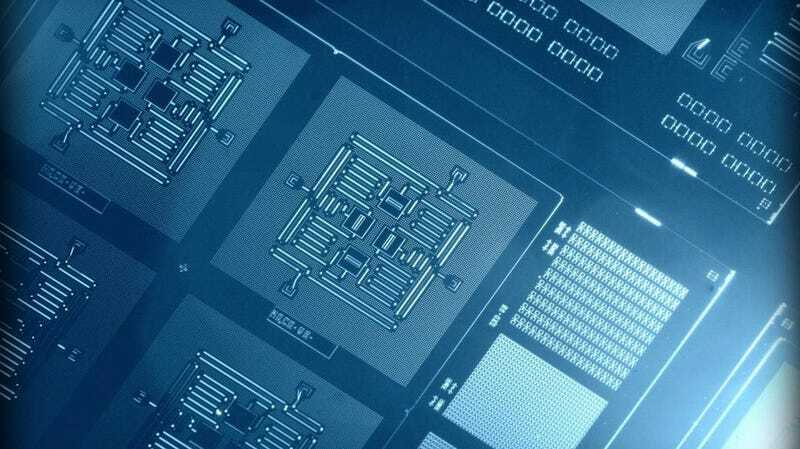 The bill aims to increase the number of researchers, students, and people working in quantum information-related fields, as well as accelerate quantum technology. Quantum technology is a quickly advancing and incredibly hyped field that takes advantage of the mathematics of subatomic particles to accomplish things current technology cannot. We often cover quantum computers, which incorporate this mathematics into processors that may one day perform algorithms regular computers struggle with, like factoring enormous numbers, simulating molecules, and maybe even advanced AI. But the bill covers other technologies as well, and has potential impacts in communications and cybersecurity, sensor and imaging technology, materials science, and more. The House bill outlines a 10-year “National Quantum Initiative Program” meant to set goals, fund research, promote coordination between different agencies, and create partnerships between industry and academia. It mandates the creation of a National Quantum Coordination Office with a director appointed by the Office of Science and Technology, and a subcommittee with members from various science groups, including the National Science Foundation, the Department of Defense, the Department of Energy, and the National Institute of Standards and Technology. It plans for an advisory committee using expertise from industry, academia, and federal labs. It’s not just new bureaucracy, though. The program would allocate $400 million to the National Institute of Standards and Technology, $625 million to the Department of Energy, and $250 million to the National Science Foundation. This money would serve to train scientists, expand research, and establish up to 10 quantum research and education centers, five each from the DOE and NSF. Statements from Smith and co-sponsor congresswoman Eddie Bernice Johnson (D-Texas) make it clear that the bill is meant to keep the US competitive internationally. The bill does not explicitly mention how it will actually develop a quantum workforce or infrastructure. Additionally, every new error-prone quantum processor developed during these early days is essentially the most advanced test of the mathematical framework yet. How far developers can push this technology and how it would play out in our own lives is unclear, though recent industry development has generally exceeded the expectations of the scientists that we speak to. Companies in the industry seem to be excited about the bill—spokespeople from Intel and IBM, which are each developing quantum computer processors, told Gizmodo that they support the legislation. The bill will now head to the Senate, and should it pass, to the president.